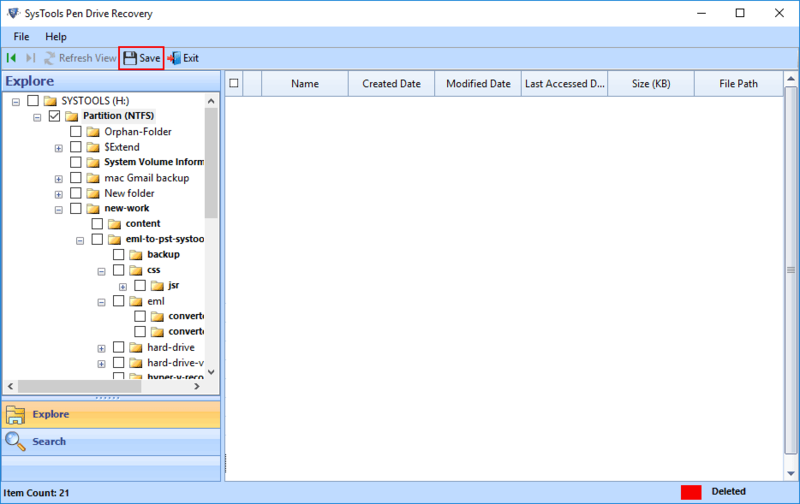 Easily Recovery Formatted Data from both exFAT, FAT (16,32) and NTFS Partition. Recover Permanently Deleted, Corrupt and Formatted Data From Pen Drive, or USB drive. Provides two Modes for Easy Retrieval of lost data from pen drive i.e. Scan and Formatted Scan. Allows Complete Recovery of Data like Photos, Videos, Audio's, Movies etc. from Pen Drive & SD card. Supports USB Drive of almost all brands such as SONY, Toshiba, Samsung, Kingston, LG, SanDisk etc. Tool Support to find a specific file by its name, extension, created date etc. From recovered items. Compatible With All Version of Windows Operating System. like Windows 10, 8, and all below version. Pen Drive is one of the most important storage media for transferable or shared data. But most of the time pen drive get stuck due to various suspicious activities performed by malicious software and also abnormal ejecting of pen drive make it vulnerable to corruption. But by using pen drive deleted file recovery software you can easily repair and recover data from corrupted USB flash drive. Pen drive deleted recovery software provides the two recovery modes to retrieve formatted, deleted, and corrupted data from pen drive. Formatted Scan:- It recovers formatted data from pen drive, USB drive, and memory card. 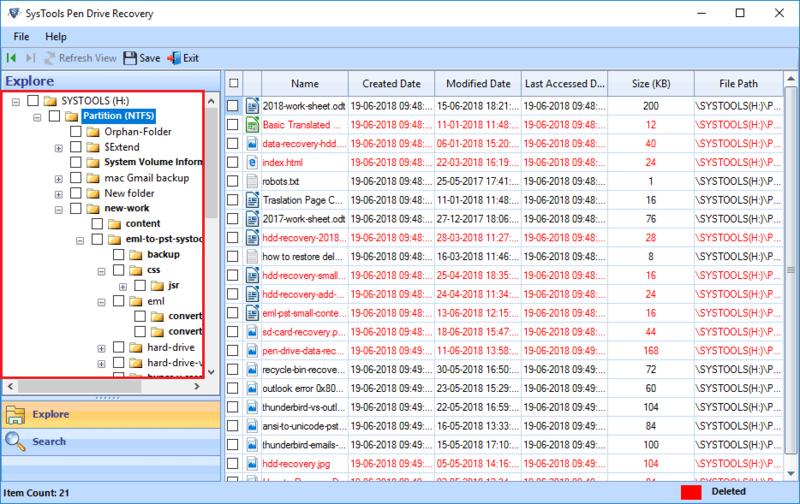 The pen drive deleted Recovery software provides the user the enhanced functionality for the retrieval of accidental or permanently deleted data such as files/folders. The pen drive deleted data recovery tool thoroughly performs the deep scanning of the data and automatically loads it for preview. After the preview, you can easily extract and recover data from the corrupt flash drive. The Pen drive deleted file recovery software exclusively recovers data from FAT and NTFS partition file system in quick time without loss of any crucial data. The Pen Drive deleted data recovery tool is capable of retrieving permanently deleted, formatted and corrupted data from pen drive having any file system i.e. FAT or NTFS. The Pen drive deleted recovery software supports all versions of FAT(exFAT, FAT12, FAT16, FAT32). 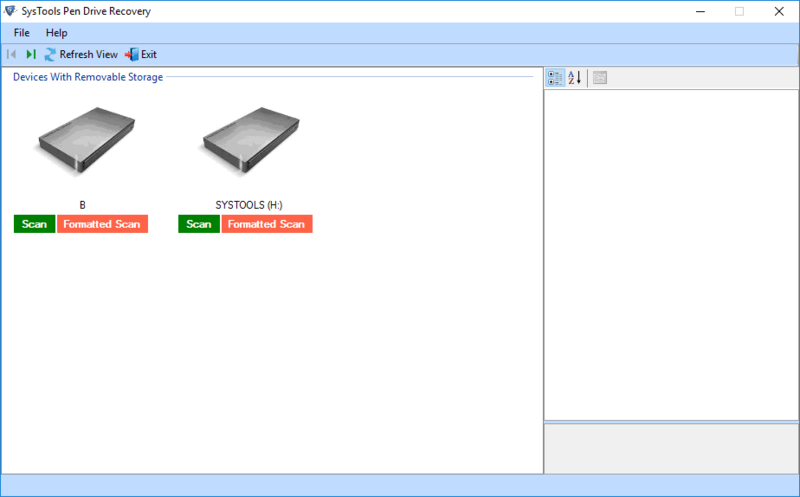 The Pen drive deleted data recovery tool allows you to preview the items recovered by it. 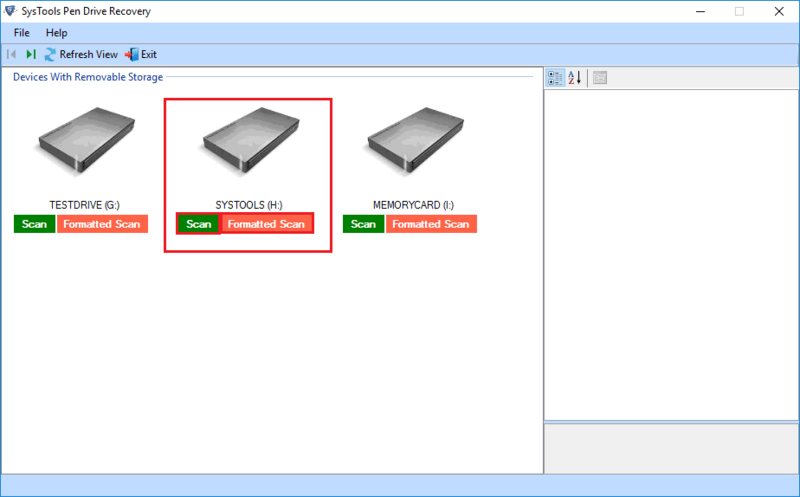 After previewing the recovered data, you can selectively extract them at desired location on the local storage. To selectively extract data from pen drive, you have to use the check or uncheck box provided against each of files and folders. The Pen drive deleted data recovery tool is enriched with high-quality features. The advanced search option is one of them. pen drive deleted data recovery software allows you to find the specific files and the folders from the recovered data. You can perform the search using the file extension, created date, modified date etc. Thus providing you the extra ease to recover only selected data from the corrupt flash drive. Pen drive deleted recovery software efficiently manages the original folder hierarchy of the data stored in the corrupt pen drive. The pen drive deleted data recovery tool minutely administrates the folder sequence of flash drive data and try to keep the data in the same sequence after the completion of the recovery process of permanently deleted from the inaccessible USB drive. The Pen drive deleted data recovery tool can easily be installed on any version of Windows operating system i.e. Windows 10, 8, 7 and other below versions also. 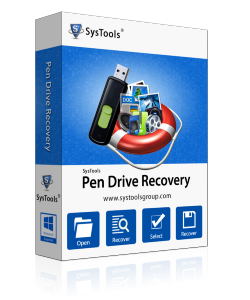 The pen drive deleted recovery software also supports the recovery of data from different pen drives such as Sony, SanDisk, Philips, Kingston, HP, LG, Dell etc. Support: Windows All Windows Versions. Processor: Intel® Pentium 1 GHz processor (x86, x64) or equivalent. RAM: 2 GB is recommended. Hard Disk Space: 100 MB of free hard disk space required. Does the Pen drive deleted file recovery software support latest Windows 10 OS? 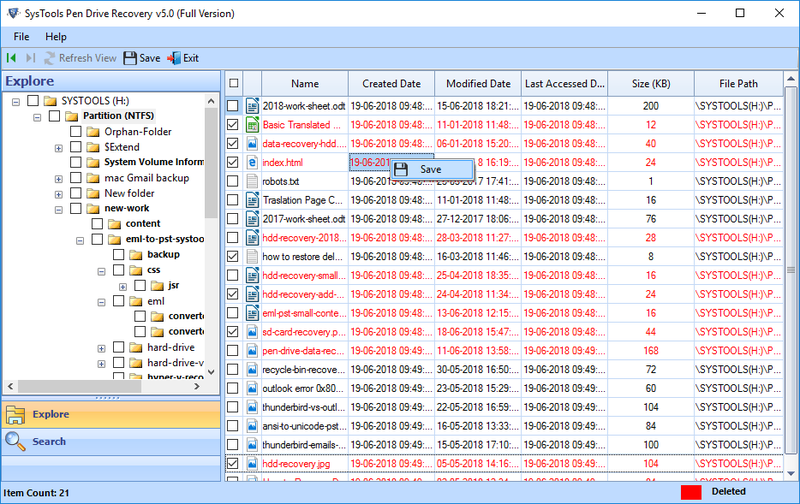 Yes, Pen Drive deleted data recovery tool supports the latest versions of Windows OS. I have Corrupt USB drive of version 2.0 and storage limits up to 32 GB. I want to recover data from it. Can I use the pen drive deleted file recovery tool for the same? Yes, definitely pen drive deleted data recovery tool can be used to recover data from corrupt drives easily. Will the pen Drive deleted file Recovery tool capable of extracting permanently deleted data from an inaccessible thumb drive? Yes, pen drive deleted file recovery tool can be used for the retrieval of permanently deleted data such as Images, Documents, Videos, PDF etc. Safely from an inaccessible thumb drive as well. When I attach pen drive on my office system. It shows error and remains unresponsive after many attempts. How can I repair it easily in quick time? You can use pen drive deleted file recovery software to quickly repair unresponsive pen drive in quick time. I recently bought 32 GB USB drive to store images and videos of crucial moments. I move data from my laptop to it. It stores the 5 GB data and failed to store more data and the consistently pop-up message that No Space Available. After some time it becomes inaccessible. But thanks to Best Revove Pen Drive Deleted File Recovery Software that helps me out from such a silly and discomfort situations. I have successfully recovered data from unresponsive pen drive using the pen data deleted recovery software. I found it more reliable than other software of the same category. I am thankful to all members behind the development of such amazing software. Therefore I would like to recommend it to other also for easy and quick recovery of data from corrupt or inaccessible pen drives.